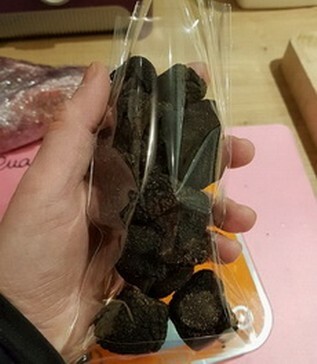 " tuber melanosporum ", said black truffles of Perigord, collected from our orchards (truffières) and harvested (cavées) by ourselves with the help of our dogs raised for that. Truffles are graded, cleaned, brushed dry and " canifées " *. Sales are intended for the private individuals as well as for the professionnals. We send in France and abroad. in order to protect the product and enable to keep their aroma. Shipments are done on Mondays and Tuesdays so that they are not blocked on weekends in the warehouses of Post Office. Any order implies on behalf of the buyer who recognizes to have acquainted with it, the acceptance of these conditions. You can order by phone or by e-mail using the form on the website. 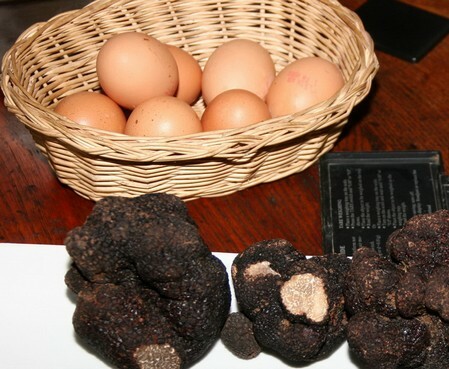 Truffle price is moving along the season, prices are negotiated between us and the buyer before each consignment. Our rates are all taxes included and are under prepaid basis via Colissimo or Chronopost. Settlement has to be done in advance (before sending) by credit transfer, or cash with order.